JoJo's Bizarre Adventure is a Japanese manga series written and illustrated by Hirohiko Araki. It was originally serialized in Weekly Shōnen Jump from 1987 to 2004 before being transferred to the monthly seinen magazine Ultra Jump in 2005. The current story arc, JoJolion, started in 2011. JoJo's Bizarre Adventure is currently Shueisha's second largest manga series with its chapters collected into 118 tankōbon volumes and counting. You can’t imagine how popular JoJo's Bizarre Adventure is until you’ve been attracted by this anime. Absolutely involved with this role, why not try to cos by yourself? 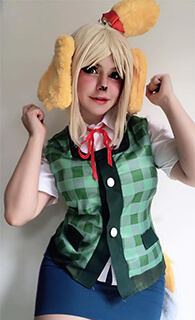 RoleCosplay provides quality anime cosplay costumes of JoJo's Bizarre Adventure for JoJo fans and cosplayers all over the world. 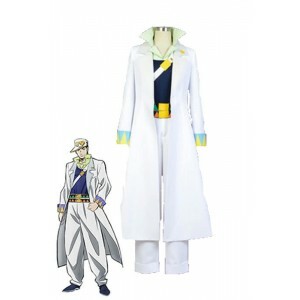 Jotaro Kujo anime costume is quite popular among RoleCosplay customers. Besides this character, Yamagishi Yukako, Pannacotta Fugo and other roles of JoJo's Bizarre Adventure costumes are on sale in RoleCosplay. 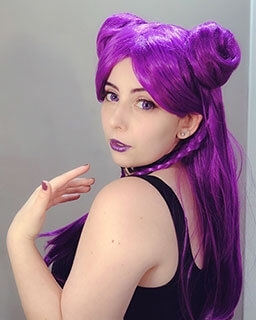 Let’s have fun in RoleCosplay!